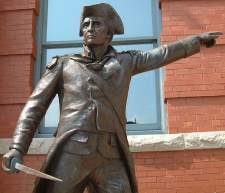 There are a number of Revolutionary War attractions you can visit today in New Hampshire. 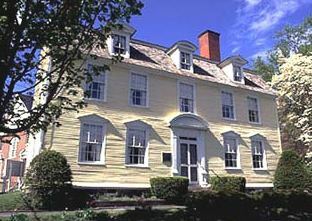 Tourism of New Hampshire attractions might include Fort Constitution Historic Site at Newcastle, the homes of Josiah Bartlett and Matthew Thornton, both signers of the Declaration of Independence, a home where John Paul Jones, the American Revolutions's greatest naval hero, once stayed or the Ladd-Gilman House, the birthplace of Nicholas Gilman, Jr., one of New Hampshire's delegates to the Constitutional Convention. any other New Hampshire attractions related to the Revolutionary War. Have a great memory from a Revolutionary War site in New Hampshire? Did you see or learn something interesting about the Revolutionary War at a historic New Hampshire tourism attraction? Why not share your trip with the world? It's free and easy to do. There is no registration required and there is no other obligation on your part. Share your favorite picture from your trip to a New Hampshire tourism attraction from the Revolutionary War. Click the button and find the picture on your computer. Then select it. You can only select one picture for each submission. If you have more than one great picture, make another submission!